Great stage tool for the singer/guitar payer. The GPA1003 Utility Stand for Pedal Board is a compact, streamlined and visually appealing approach to deploying an array of instruments and accessories normally found only in multiple accessories. A super-stable, 8 lb. cast iron base with six rubber feet slides conveniently underneath almost any pedal board. 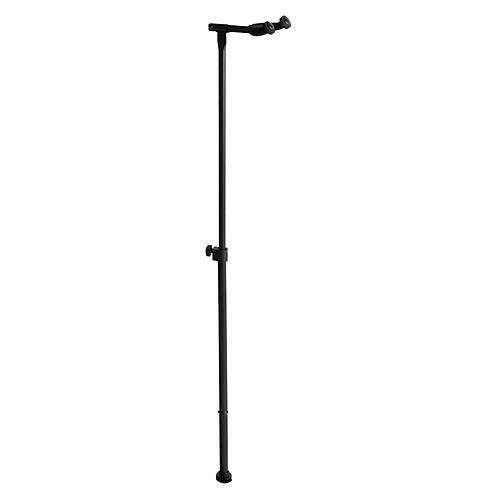 Its three M20 portals accommodate everything from additional mic stands to guitar hangers. The included rocker mic stand shaft comes with an oversized, knurled locking washer for precise, secure microphone placement. Height adjustment from 41 to 69 in. Smart design. Order one soon.